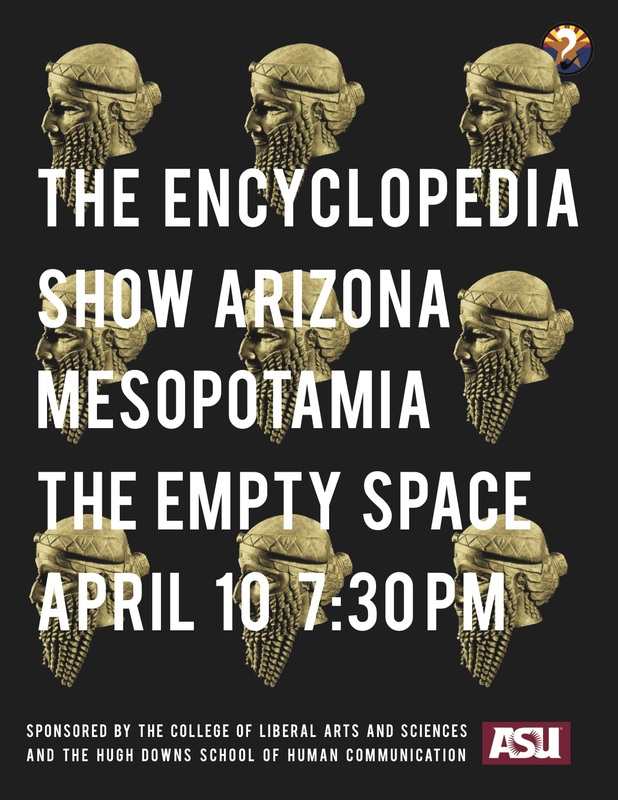 This April, the Encyclopedia Show AZ will take a journey through time and space to explore the mysteries of Mesopotamia. Some call it the cradle of civilization, some call it Iraq and Syria, some may only remember the Tigris and Euphrates rivers from the geography class. Our semi-educational age-integrated variety-infotainment show starts at 7:30 pm on April 10 at the Empty Space Theater in Tempe, Arizona. As always the show is free and all are welcome.